YES, you saw the title right. 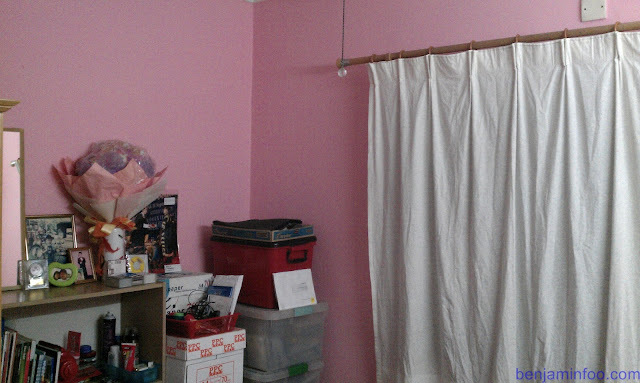 My room is now pink. Call it gay or watever else you like. 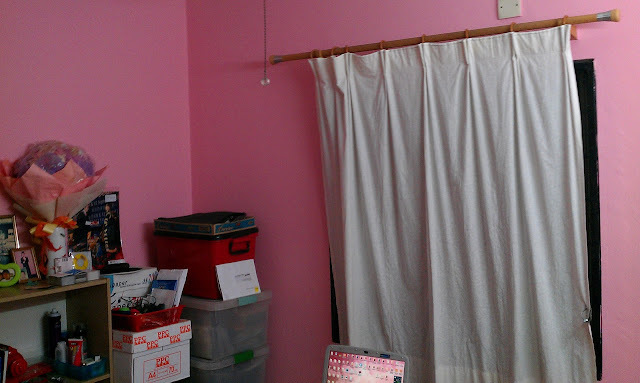 Pink is a very sweet color, it brighten up my room as well and it sure helps waking up in the morning to a pink room rather den a dull white room. 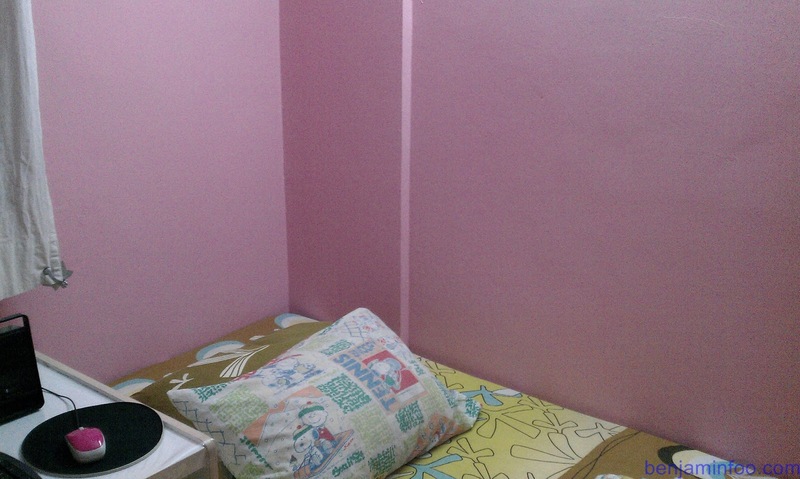 So to usher in a new year, my room is now officially pink after wishing it to be pink since 3 years ago. It has finally been done. Got the paint from my aunt when she went on a shopping spree using her One Utama Card a year back. 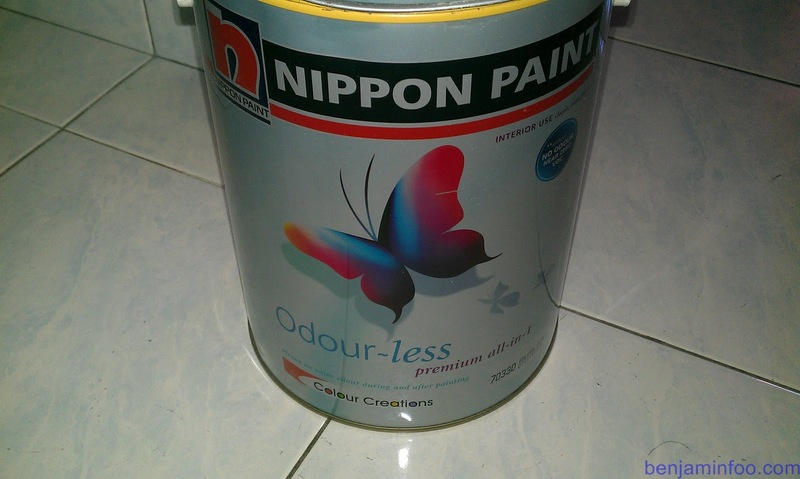 The Paint is by Nippon Paint and it's one of those Odour-less paint so it doesn't smell at all when you apply them. Stirred the paint with a stick and put it on the tray to be applied. 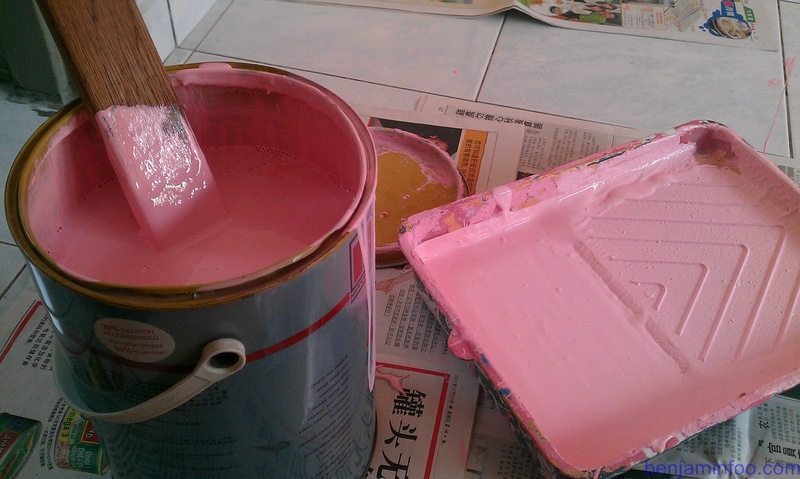 100% Pink Paint, no dilution necessary. Here is the tool for applying the paint. 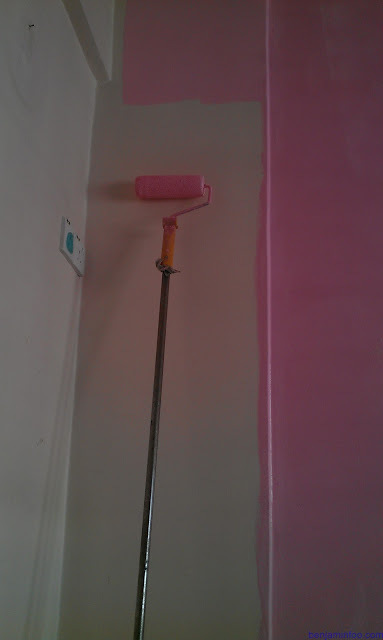 The Paint Roller? 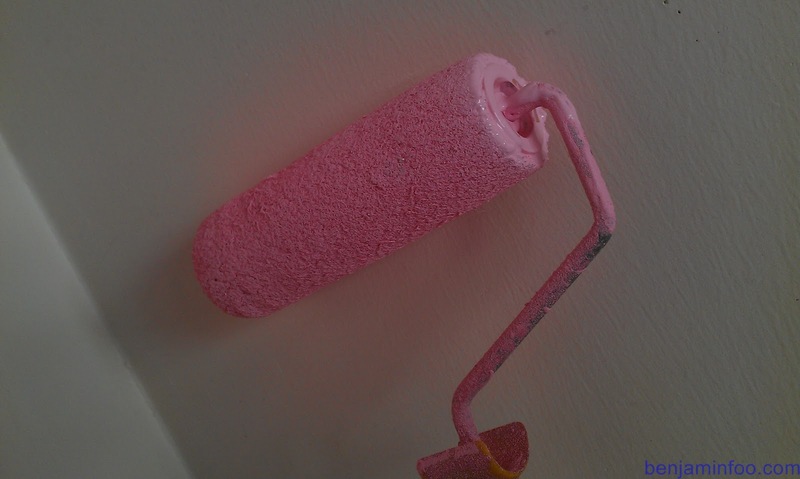 Close up look, this is my trustee sidekick in my painting job. Time to get to work. Splash splop splash. You will need to apply at least 2 ply to let the colour be even and sink in. 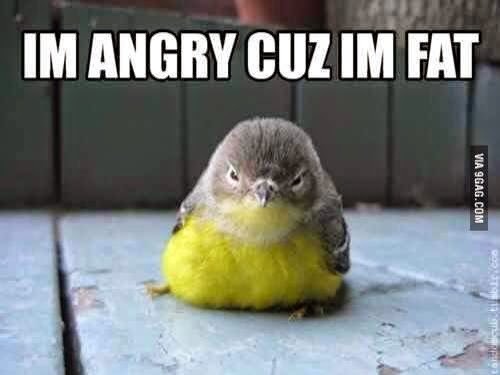 While doing the painting i felt like this guy up here. 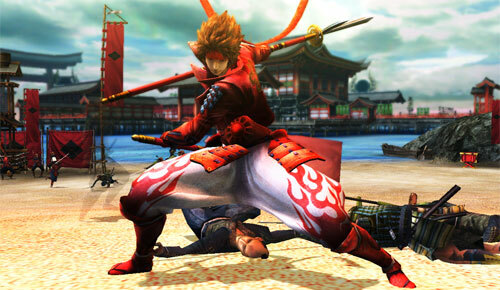 Sanada Yukimura. Introducing the new and revamped room. 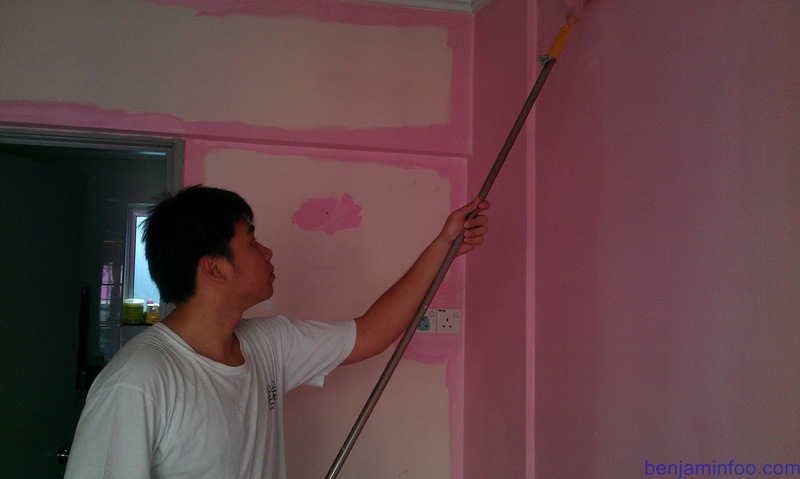 come to my house help me paint! eh very nice colour. When I heard about it, I was like.. hmmm.. now I've seen it, and it's pretty awesome! now.. where's the hello kitty? the colour is sweet ! 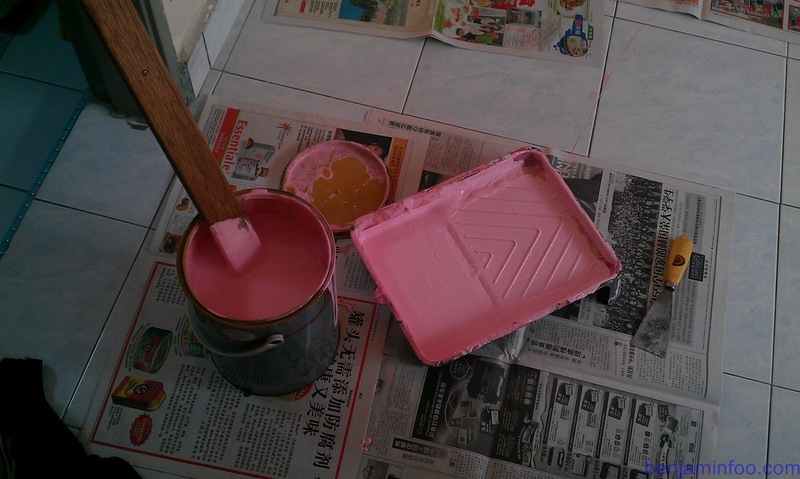 haha pink is sweet la. 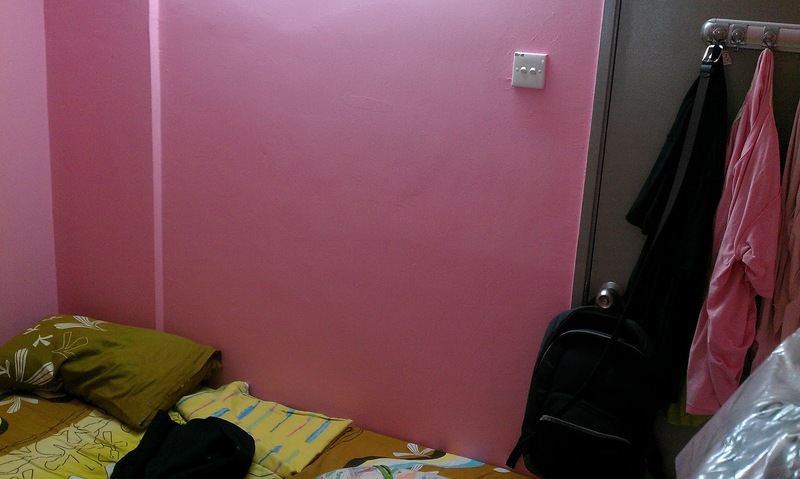 wah pink room. innocence and free from annoying stuff! that is a very sweet color O.O. 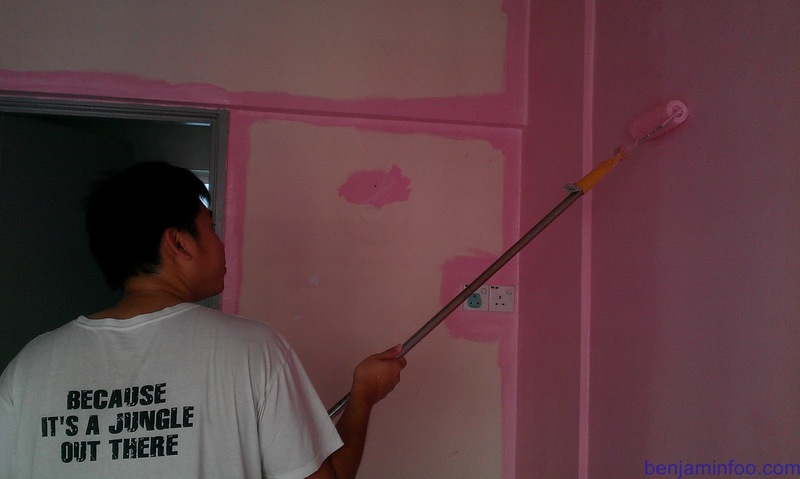 Sifu, hire you cost how much a?